Personalized Championship Boxing "Wild Cap"
You design your own cap with your choice of lettering around the embroidered logo. The hat has an embroidered Boxing Glove on it with the option to add your own lettering around the design, if you choose. 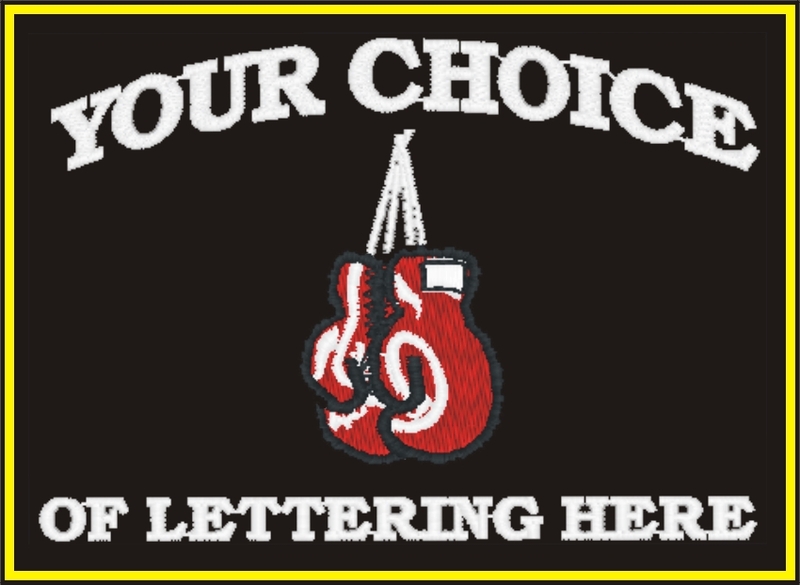 Add your Name/ Nickname/ Club etc... Just tell us what lettering you want to appear on the item. This is a custom item embroidered for you at the time of payment.Email us if you have any questions or would like to check your lettering. Team Orders Outfit your entire team or Club. Quantity Price Breaks are Available. If your team has a custom logo we can embroider it onto the item for team orders. (minimum quantity and/or set up charges may apply) Quantity price discounts are available for Team and Club orders. Click the button below to add the Personalized Championship Boxing "Wild Cap" to your wish list.